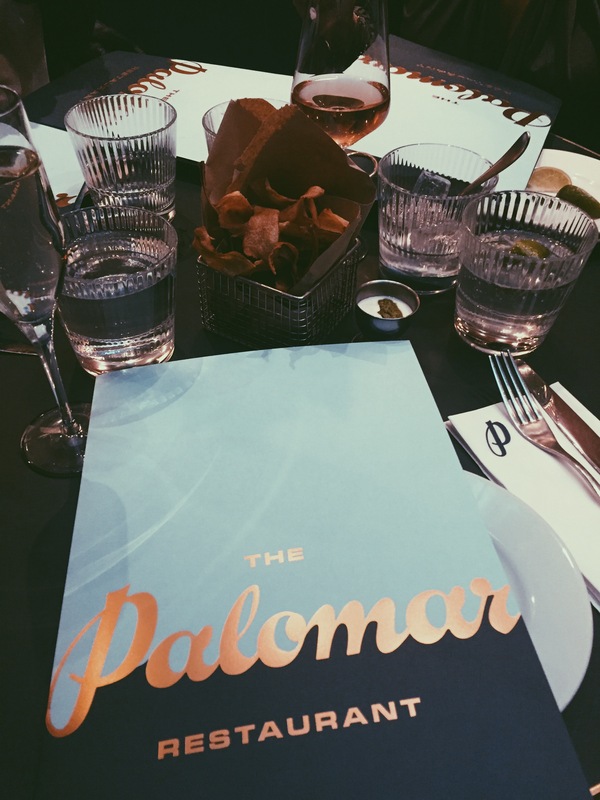 I first experienced The Palomar last summer at Taste Of London. I was sold from the moment I laid eyes on the neon pink sign and the business cards. ‘Branding on point’ comes to mind when I think of this cute little restaurant situated in the heart of Soho. 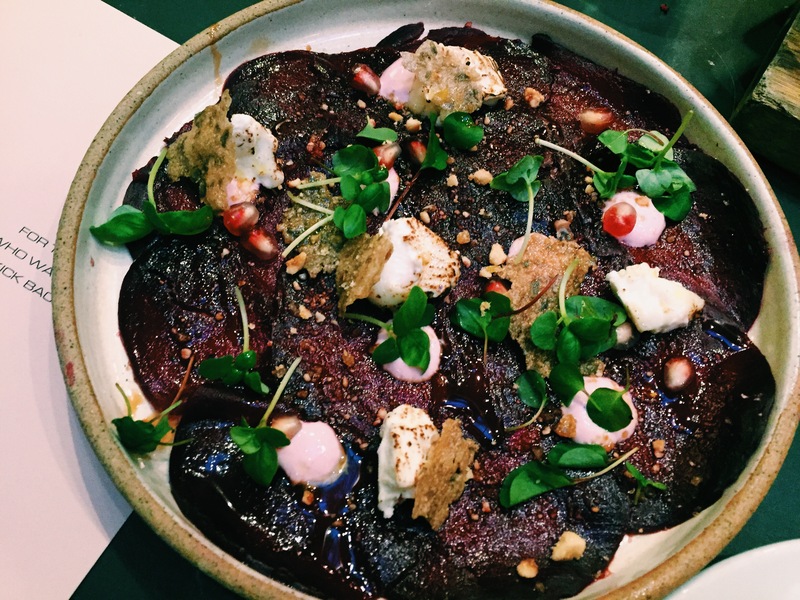 The Palomar serves the food of modern day Jerusalem, influenced by the rich cultures of Southern Spain, North Africa and the Levant. The menu is original, exciting and off the chart tasty. Everything we ate was beautifully presented and absolutely delicious. 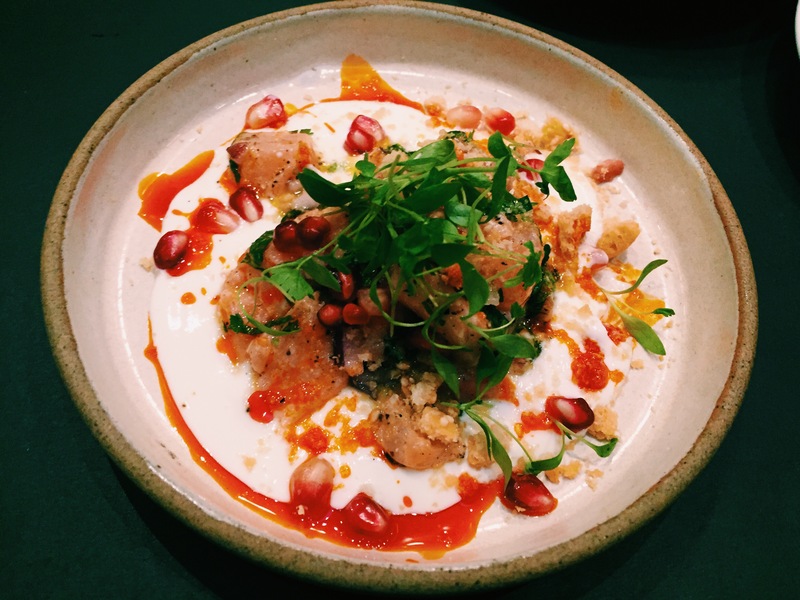 We nibbled on Parsnip Crisps with yoghurt & schug and the Kubaneh – a Yemeni pot baked bread served with tahini & grated tomatoes. The parsnip crisps were very salty and had quite an overpowering curried flavour but when teamed with the dips it worked perfectly. 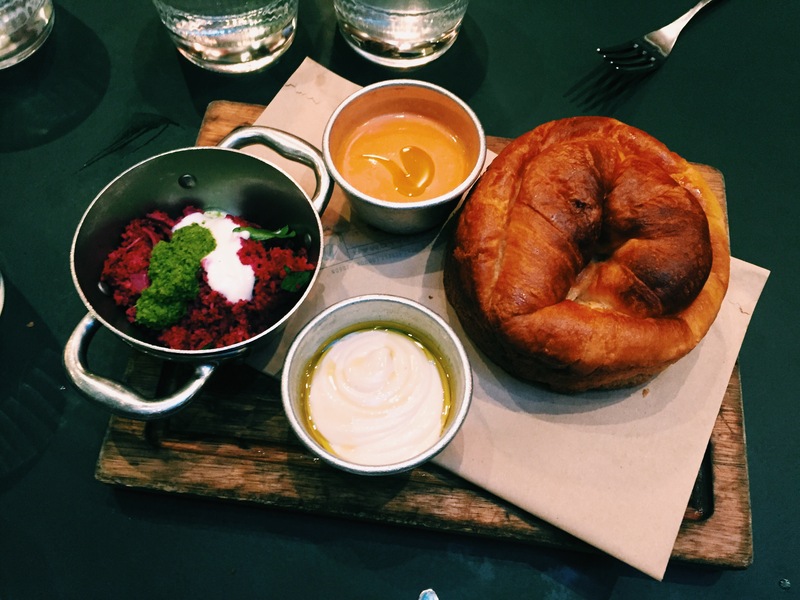 The bread was like a brioche and the tahini was undeniably the best I’ve ever had. To follow this we ordered the Beetroot Carpaccio with burnt goat’s cheese, hazelnut brittle, lentil tuile & pomegranate molasses vinaigrette, the Salmon Tartare with yoghurt, pomegranate, harissa & savoury Abadi cookie crumble and the Beef Tartare -Hand chopped rump steak, burnt aubergine cream, josperized tomato vinaigrette & toasted almonds. All three dishes were so beautifully presented and tasted divine. I’m still playing veggie so only had the beetroot dish (which was AMAZING) but everyone was raving about the salmon and beef. 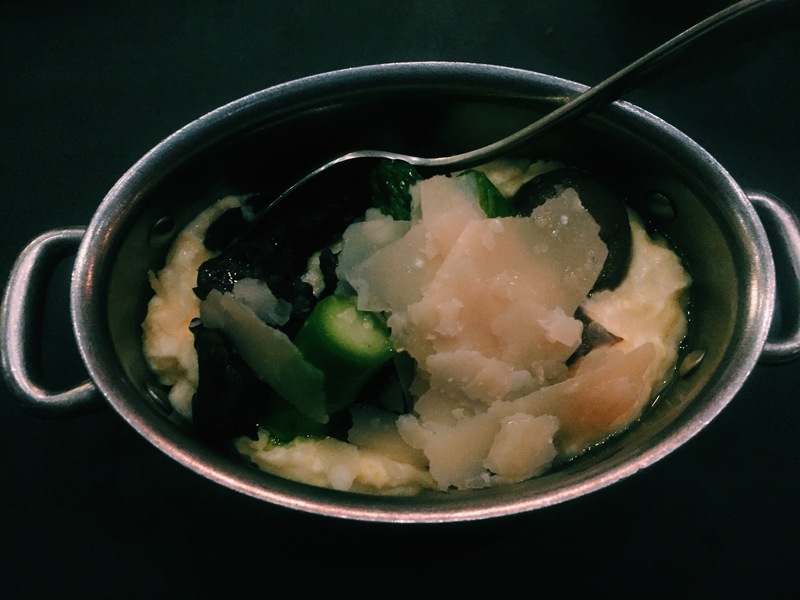 For my main I had the Polenta Jerusalem Style with asparagus, mushroom ragout, parmesan & truffle oil. The portion was tiny but it was so rich, creamy and insanely decadent that it really didn’t matter and I’d order it again in a flash. I tried the Shakshukit at Taste and was adamant someone ordered it last night because I couldn’t. 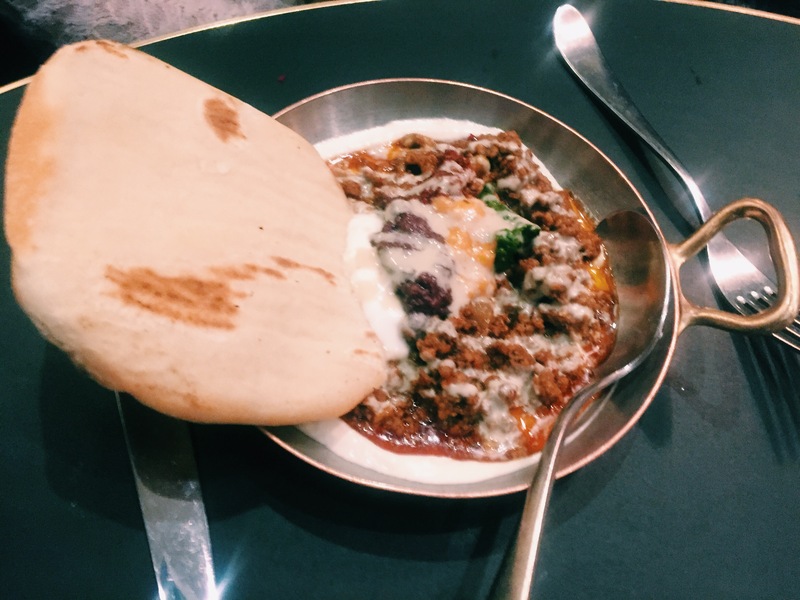 The Deconstructed kebab with minced meat, yoghurt, tahini, “The 4 tops” & Yaeli’s pita is their signature dish and it a must have if you go. Sammy ordered the Octo-hummous – probably one of the stranger items on the menu. Sadly I didn’t get a photo but it did look great. There were a few ‘josperized’ items on the menu and this was one of them. Josperized octopus “steak” chickpea msabacha & cherry tomato confit. According to our very helpful and informative waiter, something becomes Josperized once cooked in a Josper oven – Josper was a guy, he created an oven, The Palomar has one. 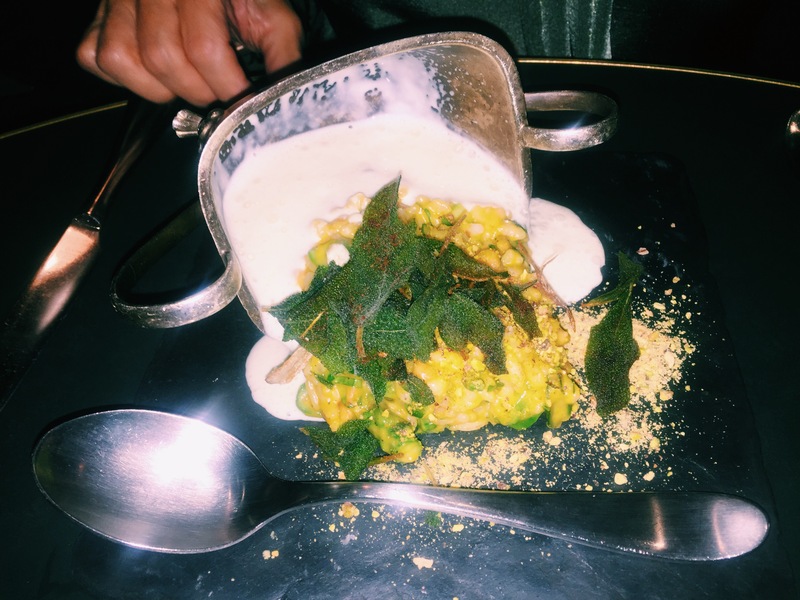 My Mum had the Butternut Squash Risotto with mangetout, pine nuts & parmesan labneh foam – this came presented in a tipped over bath tub style dish and well and truly wowed us all in presentation and flavour. Dessert was ﻿Carrot Cake ﻿with raisins, coconut foam, butternut squash marmalade, walnut brittle & candied lime zest. 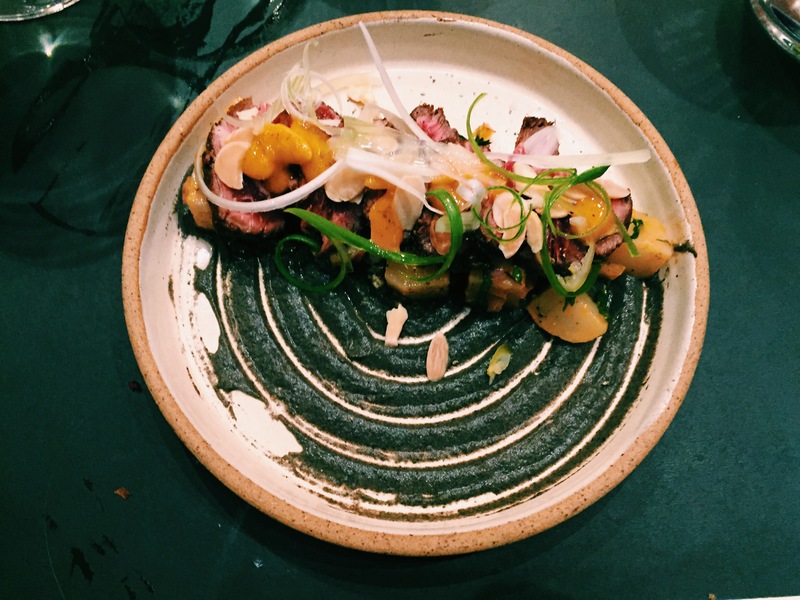 The flavour was immense and the different textures gave it a whole new dimension. My photo came out blurry so you’ll just have to imagine what it looked like. 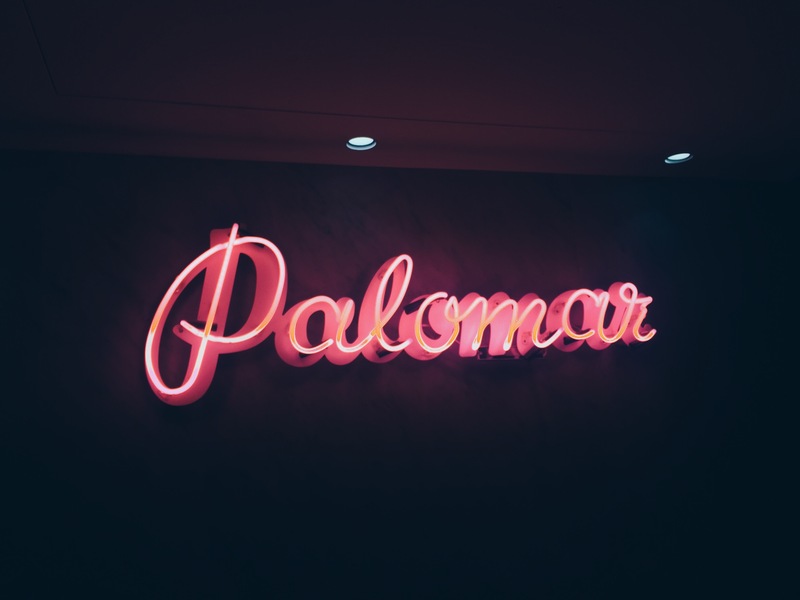 I highly recommend The Palomar for special occasions but I was also quite envious of the people sat at the bar enjoyable a casual Monday night bite to eat. The atmosphere is amazing, service is great and food is impeccable. Such a dream. ROAD TO RIO: CABANA BRIXTON.